We knew that Emperor Palpatine, Princess Leia and Han Solo would be part of Star Wars: Battlefront thanks to fans who data-mined the patch. Today, though, the developers officially confirmed their inclusion and shared some information on each playable character. 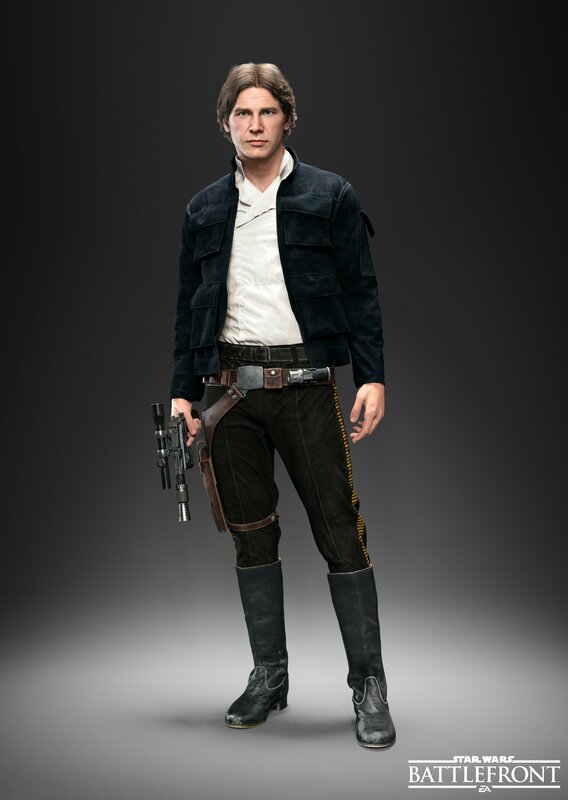 The Battlefront version of Han Solo is designed to be a lone wolf like the film character. He doesn't have any abilities that help teammates. Instead, he focuses on dealing damage. Lucky Shot lets him charge up his blast for a devastating hit on infantry and vehicles alike. Rapid Fire, by contrast, allows him to fire as quickly as he can pull the trigger to take down multiple enemies at once. The developers also note that Rapid Fire can be handy for taking down villains like Darth Vader who can block single shots. Shoulder Charge lets him quickly engage or disengage from a fight. 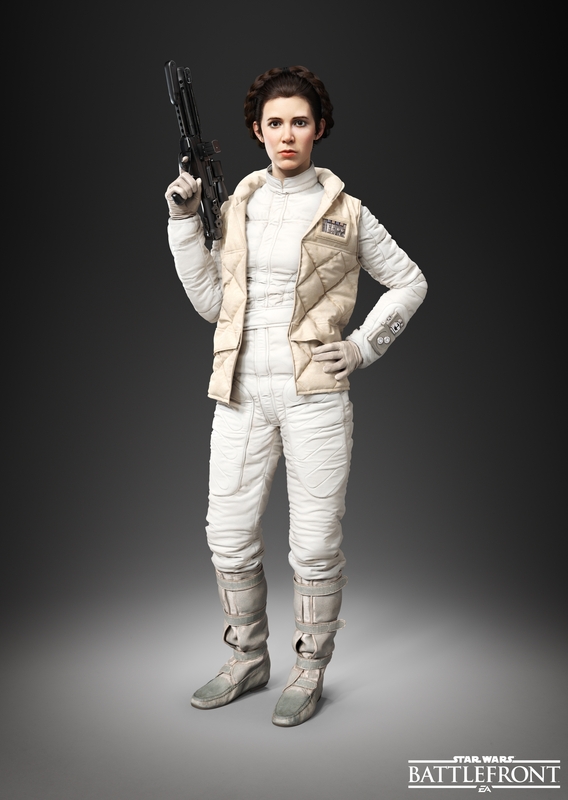 It’s clear that Leia is a leader, so in Star Wars Battlefront she’s very much about support play, buffing team members, and holding positions. Furthermore, players spawning close to her will spawn as Alderaan Honor Guards. That said, she’s got a lot of offensive output as well. Just look at the original Star Wars trilogy: you’ll notice that when Leia shoots at stormtroopers, she kills them quickly. Enhanced Squad Shield allows Leia to create a more powerful version of the shield dome that regular soldiers can deploy. Leia's shield can stop certain Force abilities from other characters. She can also shoot Trooper Bane, her offensive ability, through the dome. Trooper Bane can one-shot stormtroopers and significantly damage villains in addition to stunning them. When she uses Supply Drop, she'll give out a bunch of power-ups for her allies. Any nearby Heroes will get health boosts. 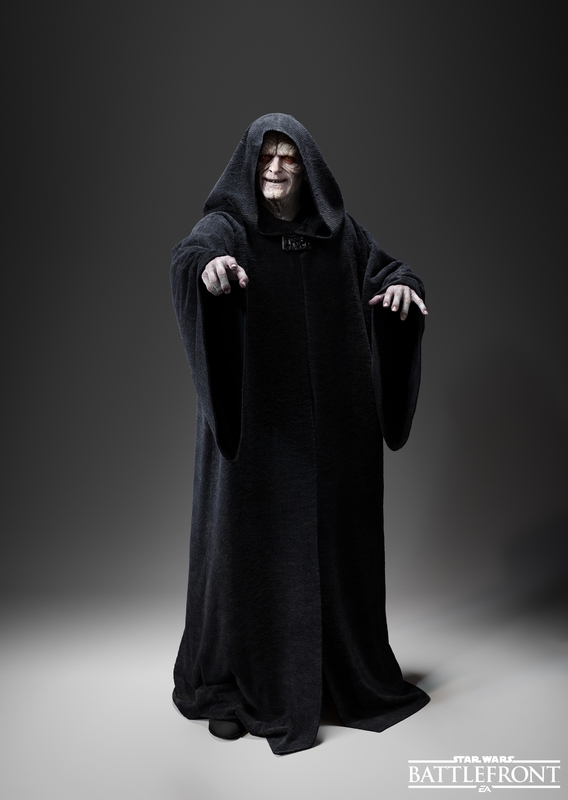 Emperor Palpatine plays a support role as well. He can pass power-ups and health boosts with his Imperial Resources ability. However, he's a formidable opponent on his own as well. He can hit enemies with Force Lightning and also unleash Chain Lightning to damage multiple foes at once. Force Dash lets him speed up temporarily. 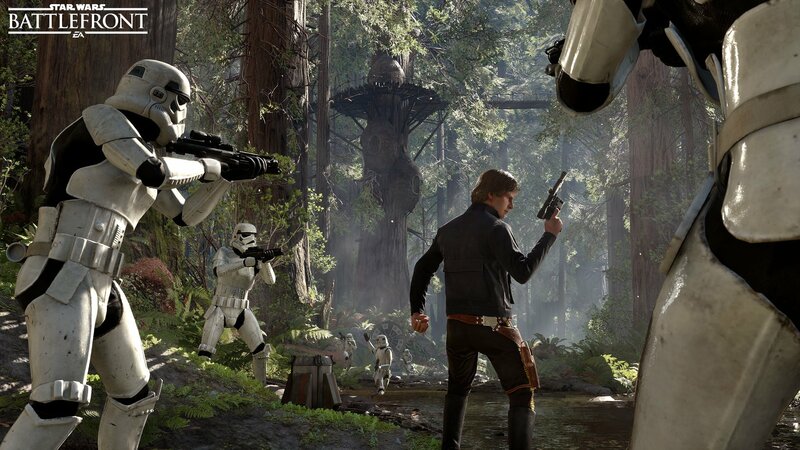 These three characters will be joined by Darth Vader, Luke Skywalker and Boba Fett in the full version of Battlefront. DICE has already announced that they've got a Season Pass' worth of DLC on the way so maybe we'll see more heroes and villains introduced to the game in time.